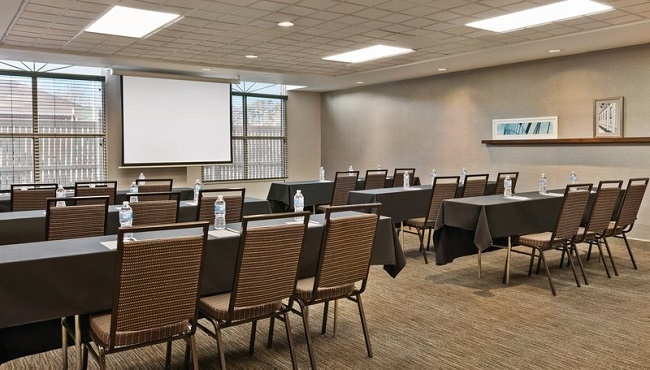 Capable of accommodating up to 60 guests, the meeting space at the Country Inn & Suites provides an ideal setting for corporate meetings, conferences, parties or wedding showers in Petersburg, VA. The flexible space can be arranged in five different configurations. It offers free high-speed Internet access, an LCD projector and an 84-inch electric screen. The hotel’s professional staff can assist you with choosing a catering company and setting up a personalized Web page for your event.